Everyone knows Tetris. It’s the puzzle game that initially asserted Nintendo’s dominance in the handheld video game space, a crown the company still hasn’t relinquished almost 30 years later. 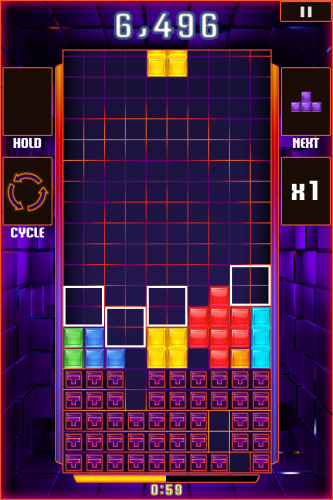 What happens when you take the tried and true Tetris formula, make it free-to-play and then bring it to iOS? You end up with Tetris Blitz, a game with enough quality to be featured on our Best iPhone Games Page, and with good reason. 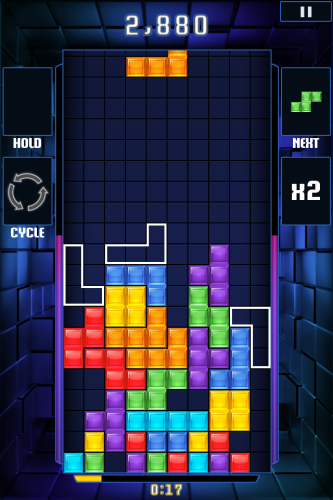 In spite of the F2P hooks, it maintains the classic Tetris gameplay with just enough twists to make it feel like something new and exciting. In case you have no idea what Tetris is, let me give you a quick breakdown of the core gameplay. Pieces known as tetrominoes move down from the top of the screen, and the player must create solid rows that disappear. 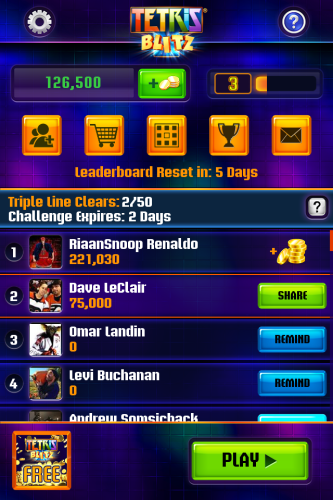 The ultimate goal is to clear as many pieces as possible to earn points. In Blitz, that core Tetris gameplay remains in tact, but with some significant changes that give the game a slightly more modern feel. It also speeds up the pace of each game quite a bit, which lends itself well to playing on a mobile platform where gameplay sessions tend to be shorter. This is accomplished by adding a timed element to each game. Instead of trying to last until you die, as you would in traditional Tetris, you are tasked with getting as many points as you possibly can before the 2 minute time limit runs out. The controls are very simple. You tap the screen to rotate the pieces. You slide your finger along the screen and the game will show you a preview of where the piece will fall, and when you are satisfied with the placement, you release your finger and the piece instantly moves into place. It’s simple, and it might feel a little weird to old-school Tetris players, but once you’ve played it for a few minutes, it will become quite natural. In the end, like most free-to-play puzzle games, the ultimate drive to keep playing is the element of competition with your friends to earn crazy high scores. With this in mind, the game offers plenty of powerups to help you maximize your score. You get to sample them for free as you play, but the powerups are also where most of the free-to-play hooks come into play. The game looks like Tetris with a little more flair. The backgrounds are vibrant, and they add to the feel of the game overall. There is only so much you can do with Tetris, as the game is very simple at its core, but EA does a good job of maximizing what they have without taking way the look and feel that makes the game recognizable. The menus are easy to navigate, but they are a little busy. Generally you will just be clicking the “Play” button to get going, but there is a lot going on with the leaderboards and what not. 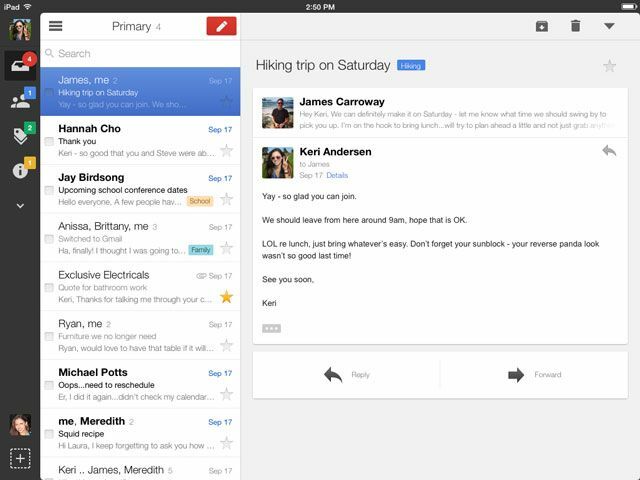 Still, once you get comfortable with it, you’ll be able to get where you want to go post-haste. The music you know and love from the original Tetris is in-tact, but with a slightly more techno feel to it. It’s overwhelmingly good, and it makes leaving the sound on a pleasant experience. You will be reminded of the old days when you used to spend hours sitting in front of your GameBoy or NES trying to match up different pieces. As far as F2P games go, this one is not overly intrusive. There are in-app purchases of course, and they will be certainly make putting up incredible scores easier, but you can easily play and enjoy yourself without them. If you choose to never spend a dime, you can still have a great time with Tetris Blitz, which is exactly how a free-to-play game should be handled. 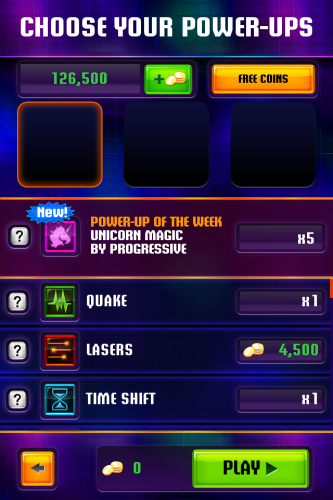 As you play, you will earn coins, which can be used to purchase many of the powerups in the game. You can, of course, use real money to purchase more coins if you should so choose. The prices for these start at $1.99 for 50,000 coins and go up from there. The game is also ad supported. Every now and then one will pop up on the screen, and it’s a little annoying, but it’s the price you pay for getting a good game for free. Overall, Tetris Blitz is a well-made game. It won’t go down in the history as the best game on the App Store by any means, but it does a great job of bringing you back to the classic puzzler, and you can play it without ever opening your wallet. For quick pick up and play sessions, I definitely recommend it to all fans of the puzzle genre. What do you think of Tetris Blitz? If you haven’t played it yet, are you going to download it? Hit the comments section and let us know!